City Hall. An Old City company feels doubly taxed by a school levy and a business privilege tax. Philadelphia's iconic City Hall is topped by a statue of William Penn, who called the city he founded a "Holy Experiment." Yet today, hundreds of feet beneath that statute, an unholy machine grinds away, mechanically depriving citizens of their hard-earned property - all to pad the budgets of law enforcement agencies. Using a process called civil forfeiture, law enforcement officials can seize your property, sell it, and pocket the proceeds - even if you have never been charged with a crime. In a statement released on Tuesday, the District Attorney's Office said it uses civil forfeiture "judiciously," and that its procedures "protect the rights of all those involved." Tell that to Christos and Markela Sourovelis, whose experience with Philadelphia's forfeiture machine has been a months-long nightmare. Christos and Markela are a hard-working husband and wife whose family lives in a middle-class neighborhood in the Northeast. On May 8, without any warning, Philadelphia police threw Christos and Markela out of their home because their youngest son had been arrested for selling $40 worth of drugs outside the house a month earlier. For a week, Christos, Markela, and their children were homeless, sleeping on the sofas of friends and family. To get back into their home, Christos and Markela had to go to Courtroom 478 in City Hall. But when they arrived, they weren't allowed to see a judge - only the city's prosecutors, who run the courtroom. If the couple wanted the deadbolt off their home, the prosecutor said, they would have to kick out their son. With no other options, Christos and Markela reluctantly agreed. But the story doesn't end there. Using civil forfeiture, prosecutors still plan to take the Sourovelis family's home, auction it off, and pocket the proceeds. Unlike criminal forfeiture, where you must be convicted of a crime before your property can be seized, civil forfeiture allows prosecutors to find your property "guilty" merely on the suspicion it was involved in a crime. There is no judge or jury involved in the city's forfeiture process. Prosecutors run the show. And they frequently tell property owners who ask for a lawyer that the process is simple and a lawyer isn't necessary, only to then give these owners a stack of complicated legal papers to fill out under oath. Prosecutors force property owners to return to Courtroom 478 time and again, sometimes up to a dozen times in a single case. Miss one single hearing and you can lose your property forever. And, ultimately, it is the prosecutors' office that profits. The lure of easy money has led Philadelphia to build a forfeiture program unrivaled in its size and scope. Each year Philadelphia files thousands of civil-forfeiture petitions, seizing almost $6 million of cash and property, according to asset forfeiture reports from the state Attorney General's Office. And, according to the reports, from 2002 through 2012, the Philadelphia District Attorney's Office collected more than $64 million in revenue by taking more than 1,000 homes, 3,200 vehicles, and more than $44 million in cash from city residents. Almost 40 percent of these unaccountable funds were used to pay salaries, including the salaries of the prosecutors who run Courtroom 478. More than 200 years ago, the Founding Fathers gathered in Philadelphia to draft the U.S. Constitution. That document guarantees that the government cannot take your property or liberty without due process of law. Yet Philadelphia's civil forfeiture machine deprives people of this constitutional right while trying to seize and profit from their property. This week, the Sourovelises and other property owners teamed up with the the Institute for Justice, a national civil-liberties law firm, to file a class-action lawsuit on behalf of all Philadelphians. The lawsuit seeks to take the profit incentive out of civil forfeiture and protect innocent people who are caught in an upside-down legal process that treats them like cash machines while violating their constitutional rights. 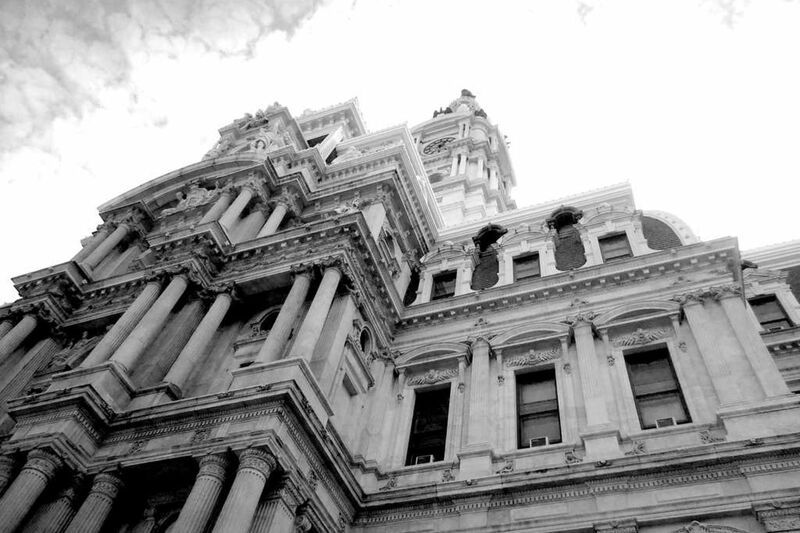 To learn more about the lawsuit, visit www.endforfeiture.com/philadelphia-forfeiture.